In another example of administrative foot-dragging, the Veterans Administration has only now begun to honor the claims authorized in a law the President signed back in 2012. Given that the law was meant to serve veterans who sustained life-threatening illnesses due to contaminated water at Camp Lejeune, the delay has led to unconscionable and unnecessary misery. Making matters worse is that many VA physicians and facilities still remain uninformed about the benefits. Congress passed the “Honoring America’s Veterans and Caring for Camp Lejeune Families Act” in recognition of the fact that toxic chemicals such as TCE, PCE and benzene had been present in the camp’s drinking water from the mid-1950s until wells were shut down in 1985. This has caused widespread illness and premature death among Camp Lejeune veterans and their family members. 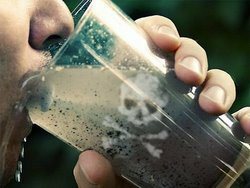 The law enumerates 15 specific diseases, including breast, liver and lung cancer, likely to have been caused by exposure to the tainted water. Servicemen and women and their families who lived more than three months on the base during the time the water was contaminated are eligible for compensation for all medical costs related to the 15 illnesses. Unfortunately, payment of benefits has been delayed because the VA took more than two years to write the regulations about how the benefits should be paid. But even now, information about the benefits has not been widely disseminated; veterans don’t know the help is there, and VA centers don’t know they’re authorized to provide it. Meanwhile, the Obama administration opposed a civil lawsuit that Camp Lejeune veterans filed against the government, asserting that the North Carolina “statue of repose” took precedence over the Superfund’s statute of limitations. The Supreme Court agreed with the Obama administration and dismissed the veterans’ lawsuit. So, the Camp Lejeune vets are back to relying on the VA, which seems uninterested in delivering on the law’s promise. Affected vets may need to take legal action to get the benefits to which they are entitled. To learn more, contact a veterans’ benefits attorney today.